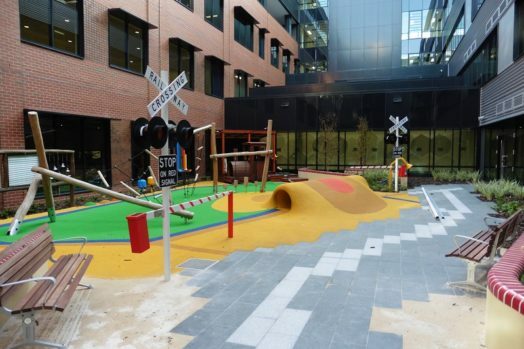 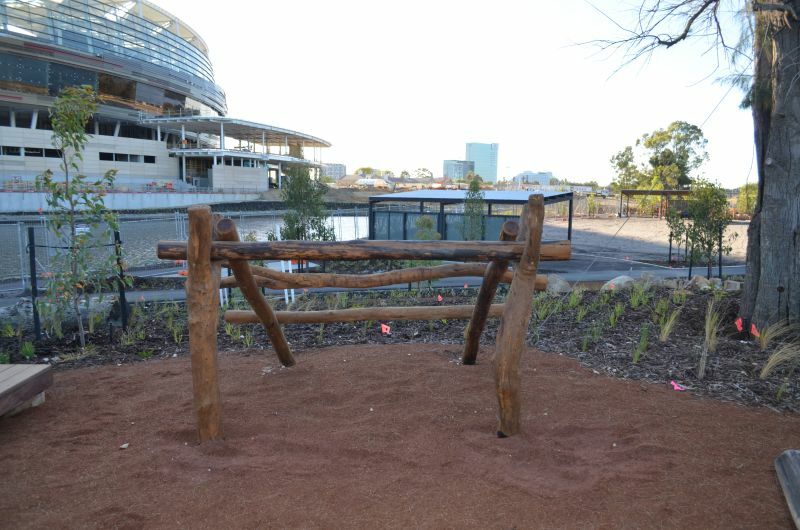 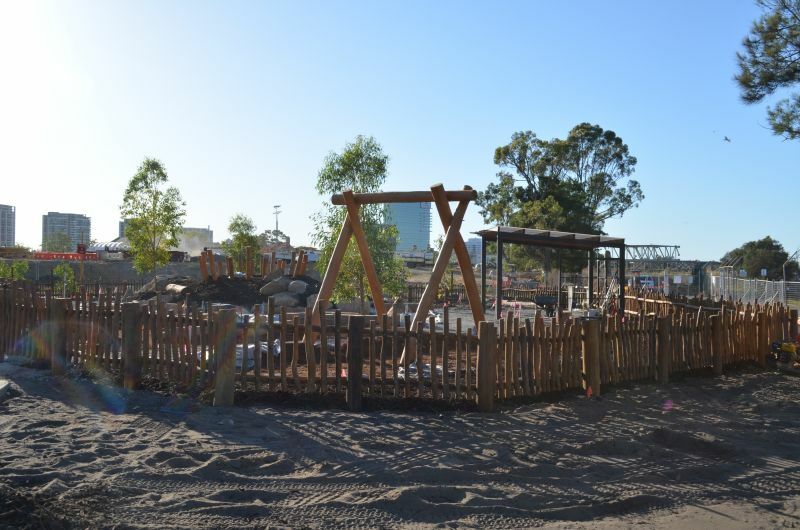 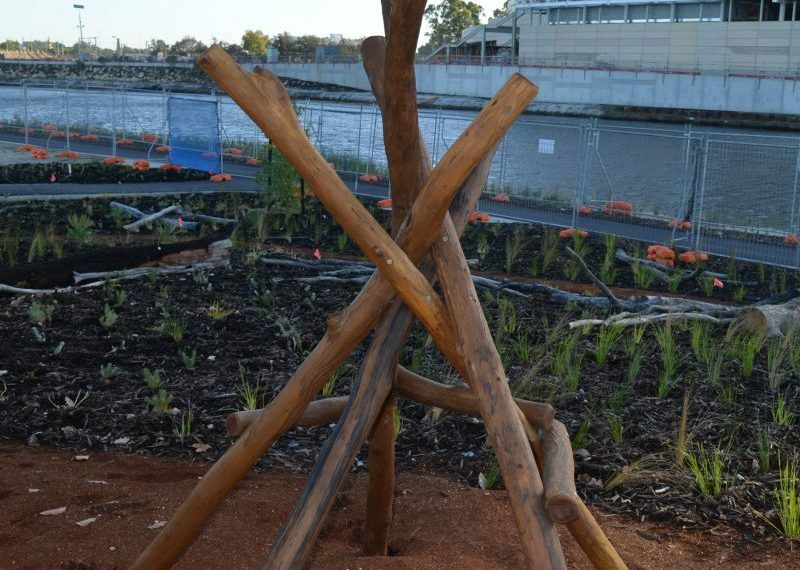 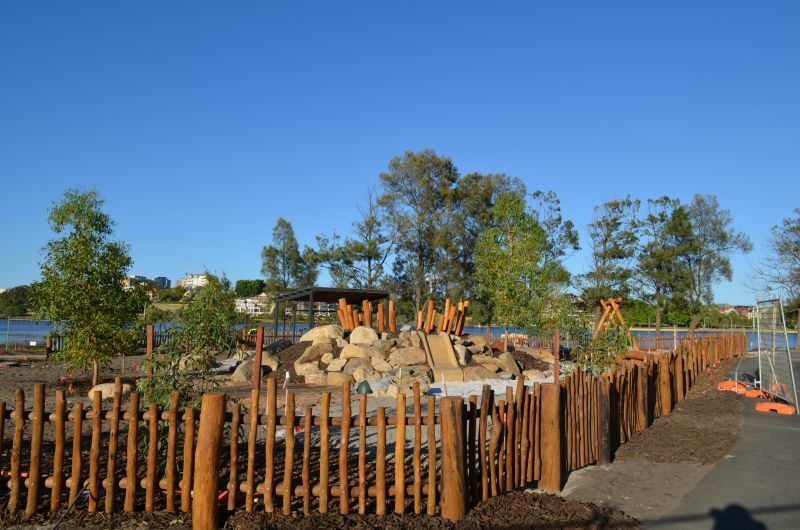 Nature Playgrounds were contracted to help provide part of the nature based playground works at Optus Stadium. 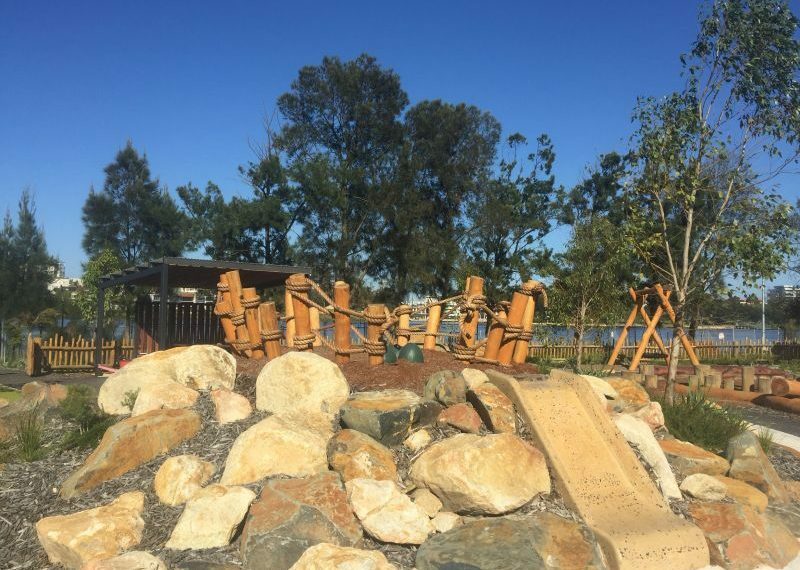 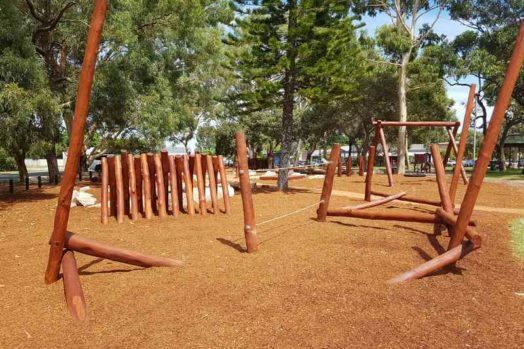 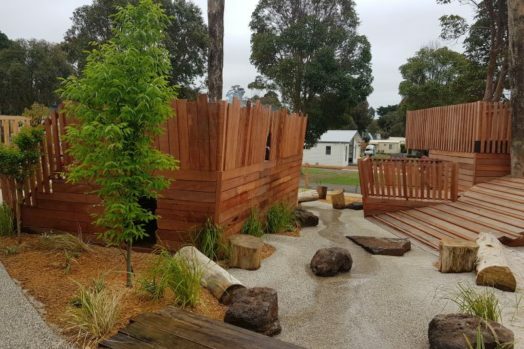 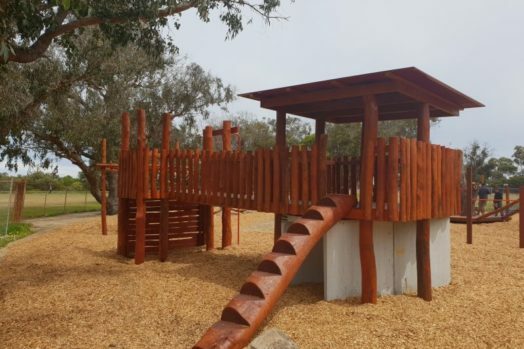 These works included hardwood balancing logs, log steppers, basket swing with jarrah frame, a toddlers nest and multiple bush cubby shelters. 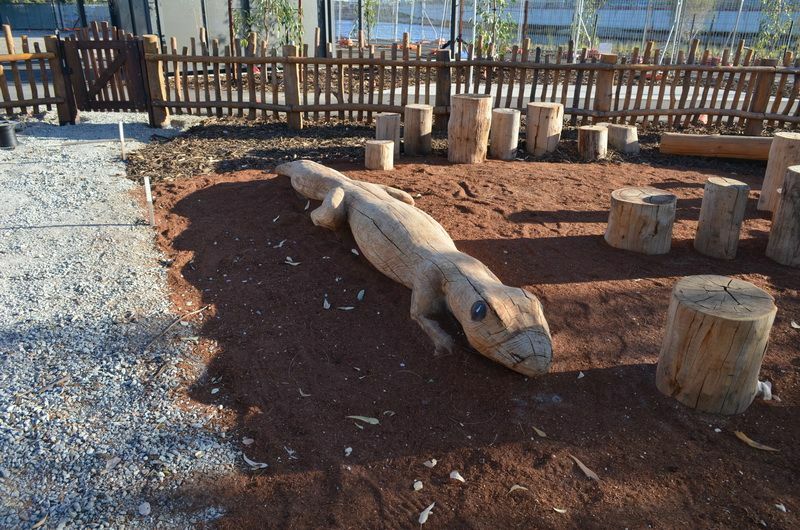 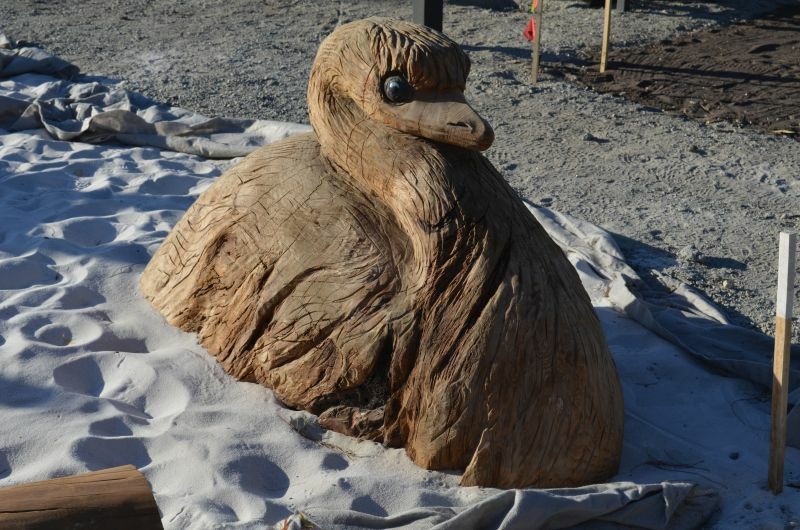 In addition to these works, Nature Playgrounds provided some feature pieces which included some hand carved animals which consisted of a lizard and emu. 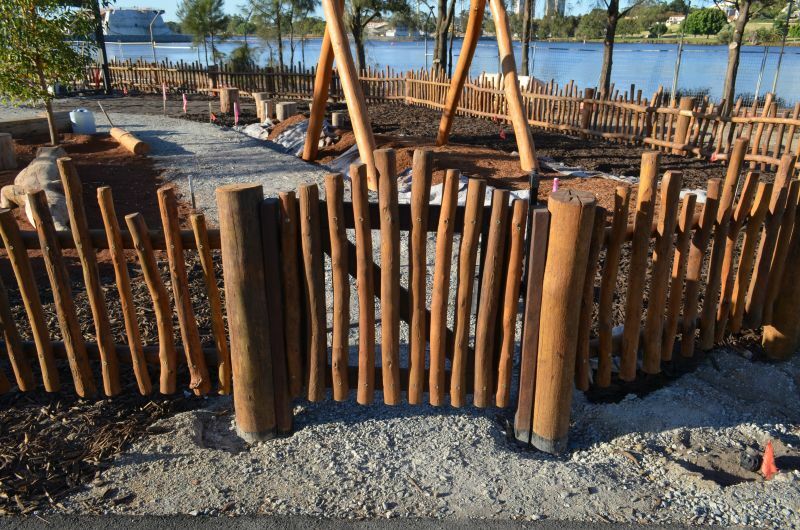 The last piece was the beautifully constructed bush log fencing to contain the toddlers play area. 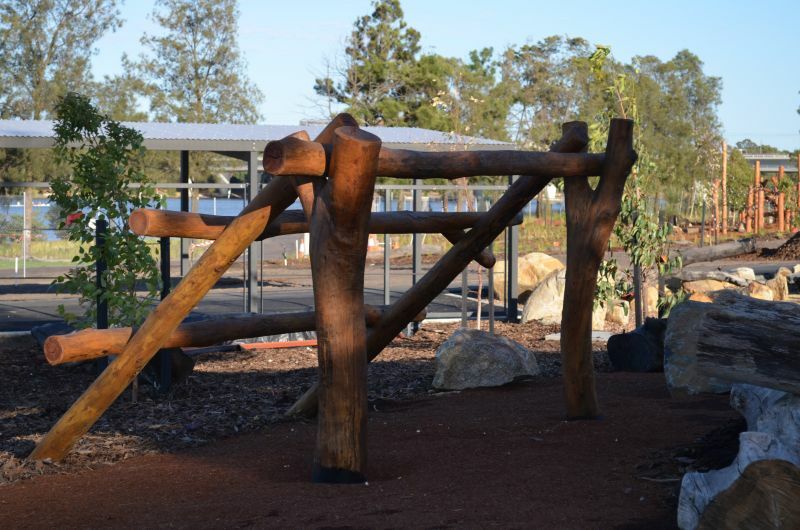 Hand made from local Jarrah bush poles, this fence provides a great finish to this section of playground.